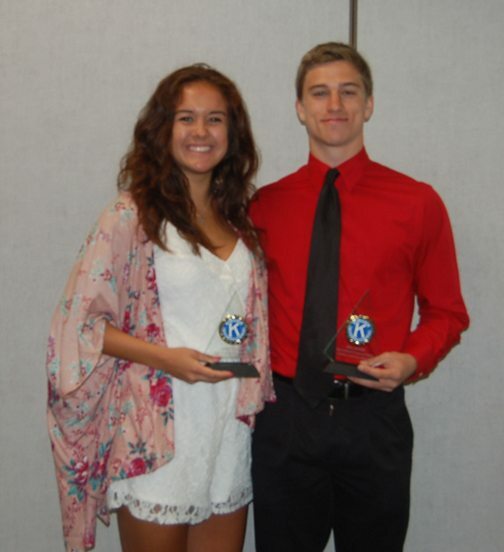 MARQUETTE — Amber Huebner and Alex DuVall were named the Superiorland Kiwanis Athletes of the Year at Marquette Senior High School for the 2016-17 school year. 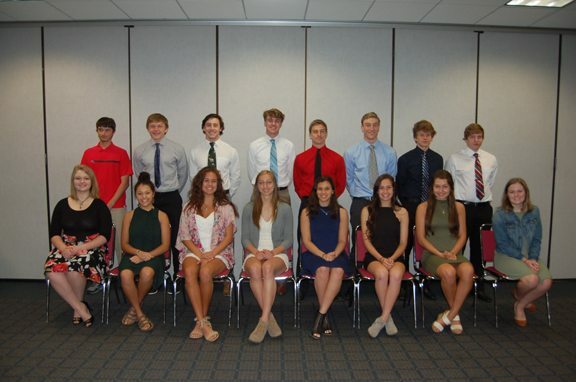 Both were announced during a breakfast ceremony near the end of the school year that celebrated all of the students who were selected as Kiwanis Athletes of the Month during the academic year. 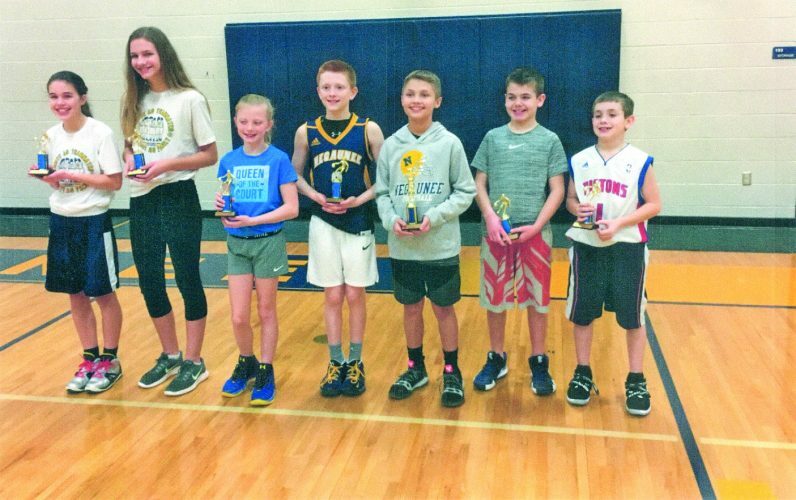 Huebner was a standout point guard on the Redettes’ girls basketball team, earning accolades on the All-Upper Peninsula Dream Team as a senior as well as being named as the Great Northern Conference Player of the Year and Defensive Player of the Year. Huebner also received Class A all-state honorable mention. 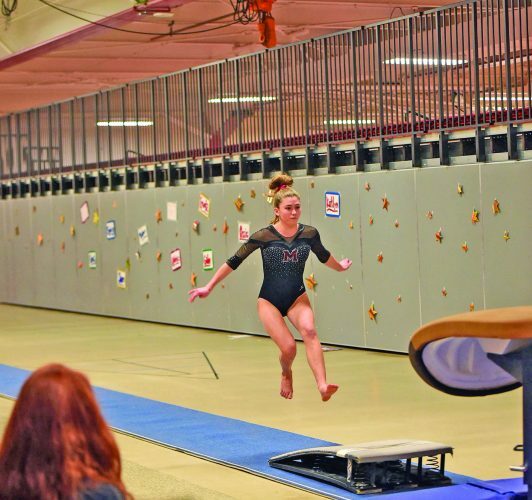 She was also a four-year member of the girls cross country team, where she helped lead MSHS to three U.P. titles and was named to All-U.P. and All-GNC teams each year. In track and field, she was a member of the school and U.P. record-setting 1,600- and 3,200-meter relay teams. Huebner had a 3.97 grade-point average and will attend and play basketball at Northern Michigan University. DuVall was a successful three-sport athlete for the Redmen as a senior, taking part in football, basketball and track and field. In football, he earned All-GNC selection and was an All-U.P. return specialist. He was also a member of the Redmen basketball team that won Class A-B-C Team of the Year honors for the U.P. as well as the GNC crown while he was selected to the All-U.P. Second Team and All-GNC First Team. 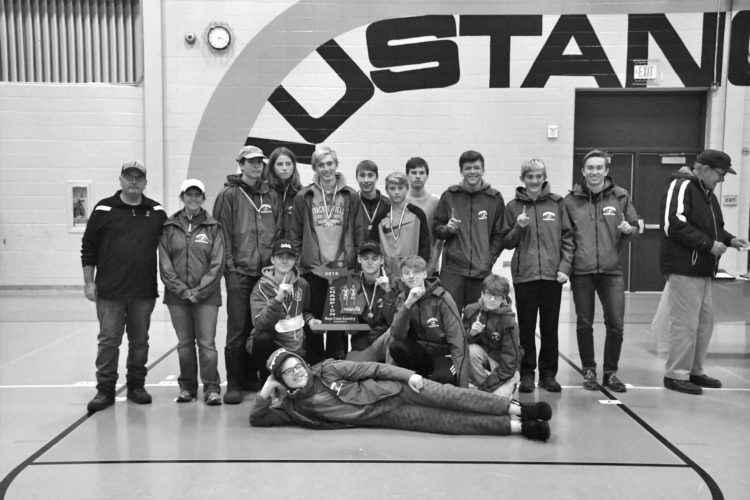 In track, he was part of the MSHS winning 400 and 800 relays at the U.P. Division 1 regionals and came in fourth in the 100 dash. DuVall had a 4.07 GPA and is attending Lawrence University to participate in football and basketball.